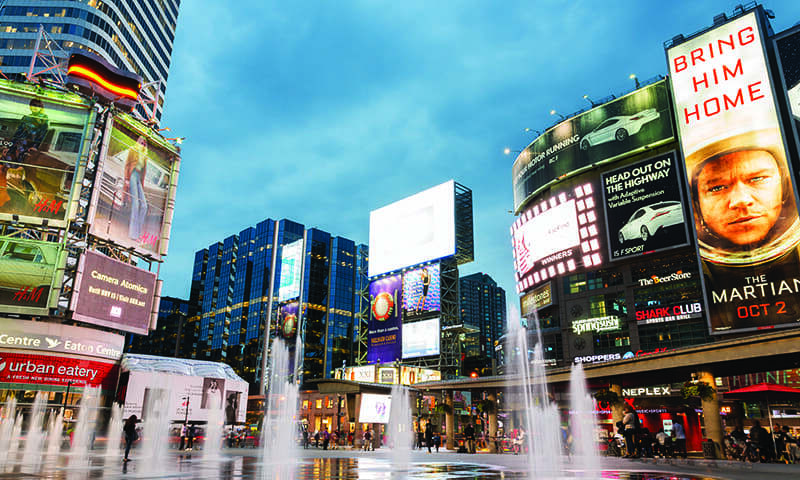 How digital and OOH can take the industry to the next level. There is a joke doing the rounds in the US and other markets that the American Marketing Association has declared mobile the next big thing for the tenth year running. It is true that in our own market, mobile marketing (read: SMS) is not as refined and effective as it should be. However, there is another media that is only now reaching its potential. That media is OOH. OOH is a powerful medium and around the time I entered advertising full-time in 2005, it experienced a boom that lasted several years if not more. OOH was the Bahria Town of that period, experiencing exponential growth in ad spend (in one year growth was 120%). 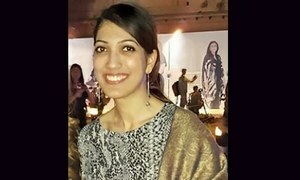 Demand outstripped supply, even though billboards were erected all over Karachi and there was literally a hoarding jungle in the city. Of course, something had to give and in the end, the authorities stepped in and reduced the number of billboards to a fraction of their peak number. This scenario is one often repeated in Pakistan – it’s a tale of greed and desperation; billboard owners charging amounts that were seriously over the top to brands that wanted to follow the flow and didn’t want to miss out. Corruption and infringements were commonplace and although the clampdown probably cost hundreds of jobs, it was needed. Karachi had become an eyesore and marketers were the main culprits. If there’s one thing that defines Pakistanis, it’s our innovativeness and adaptability, so that when the billboards were literally cut down, marketers and outdoor agencies turned to buildings in their quest for eyeballs. To be honest this method (still in vogue) has several advantages for the ecosystem. The branding is vibrant and colourful and if it doesn’t beautify the city, it does not make it uglier. Another advantage is that the cost is very high so it limits the brands able to use it. In 2009 the advertising fraternity in Pakistan was expecting the arrival of digital OOH screens. Sadly that did not happen although digital did boom and is now an accepted media. Digital OOH however did not come to the party. Now it has; initially the costs will be high but as scale is developed they should come down and become a relatively affordable medium for advertisers. Another change were innovative executions both on the road and in malls that actually were pleasing to the eye and effective. Examples are the Mountain Dew bus stop branding, the Lux activation that used scented installations and the Lux billboards with flowers. The Atlas Battery bus stop that had fans installed (powered by Atlas Batteries) was an excellent use of the medium; it was also a rare attempt to use bus stops for experiential marketing, and not only for exposure. Before the clampdown on OOH was enforced, the medium was moving towards refinement in terms of audience measurement in the form of MOVE. This allowed advertisers to calculate a kind of ROI on expenditure. In fact, MOVE was a major step and showed that OOH was willing to change. The role played by the PAS was commendable as we all know that getting all players to the table in Pakistan is a huge task because of vested interests and egos. In DAWN's Special Report The Dawn of Advertising, there was a very creative media pageant (in cartoon form) used to explain the roles various media play. The OOH character expressed himself as easily visible and the therefore made brands ubiquitous. I believe that unlike the joke, I shared at the beginning, we are on the brink of outdoor becoming the next big thing and it will take place with the marriage of outdoor and digital. I recently attended a very informative seminar on OOH called Ahead of the Curve organised by the PAS. What set this conference apart from the previous conferences was the focus on information and learnings and clearly the potential of digital OOH is immense and apart from the possibility of using big data and programmatic, the medium has much to offer in terms of reducing costs and clutter in a city like Karachi. Let’s look at the value addition. Digital screens mean advertisers do not have static inventory and they have flexibility to tweak their ad easily, if not in real time, in a few hours. Ads can be exposed at the peak time related to the target audience; imagine an iftaar deal ad displayed on billboards at say between four and five in the afternoon. You can advertise on one side of the road to catch the morning rush and advertise on the opposite side to catch the reverse traffic flow. Digital screens mean that owners can cater to multiple brands at a time; ideally a loop of four to five can be played on one screen. Digital screens enable the creation of variations of the creative execution, allowing brands to experiment. 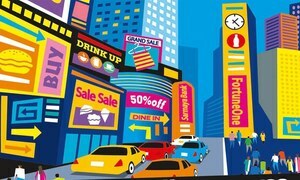 Location based offers can also be placed in order to drive footfall for a brand. 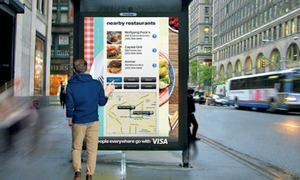 I am looking forward to seeing digital and outdoor used together to take our advertising industry to the next level. Ladies and gentlemen, a round of applause please for the most awaited marriage in Pakistan, the union of digital and OOH.